Home Documents Documents about the Bosnian "pyramids"
Tera C. Pruitt, from the Department of Archaeology, University of Cambridge, is presently completing a Doctoral Thesis on "Authority and Archaeology: An Analysis of the Role of Authority in the Production of Archaeological Accounts of the Past". Her Master Thesis, finished in 2007, was devoted to the case of the Bosnian Pyramids. Below are, with her permission, a few extracts of the introduction of this MPhil Thesis, and the downloadable complete text. The second argument situates such ‘alternative’ claims within a wider discourse in mainstream archaeology. It argues that archaeologists have not fully engaged with many ‘alternative’ claims to the past, like the pseudoarchaeology of the Bosnian pyramids. Rather than addressing pseudoarchaeology as a product of complex social processes, cases like the Bosnian pyramids have been categorized and simplified; and so archaeologists who have approached the situation have not been addressing all of the relevant issues. This is perhaps why the efforts to stop pseudoarchaeology in Bosnia have failed. This dissertation ultimately argues that ‘alternative’ claims to the past, like pseudoarchaeology, are social phenomena that need to be understood and addressed by the archaeological community. This dissertation addresses and challenges this developing professional debate by examining a specific case study of alternative archaeology: the case of the Bosnian “pyramids.” In 2005, a businessman and alternative historian named Semir Osmanagic announced that he had discovered the world’s oldest and largest pyramids in a town called Visoko, located in central Bosnia-Herzegovina. Within a national climate of post-war depression and institutional instability, and with the support of lax reporting from media that welcomed an exciting story, this pyramid scheme became an overnight success in Bosnia. Through the internet and international television media, the story has also quickly gained worldwide attention. This study, when positioned in its contextual framework, illustrates how much larger processes form the conditions in which alternative accounts thrive and how such ‘alternative archaeology’ affects mainstream archaeological discourse. This case represents manifold questions: why is a site of invented heritage so popular in Bosnia while genuine archaeological sites go unnoticed or are intentionally disregarded? Is such invented heritage malicious or harmless? What is the value in studying such invented heritage? What defines an archaeologist and who has the authority to say what is archaeology, what is authentic or invented, and what is not? Could the professional community have acted to prevent or alter the project’s popularity, and is it their job respond in such a situation? In a profession that admits room for a great deal of diversity in the way it explains the past, where do we draw the line between a pluralist vision of the past and an invented re/construction? This dissertation is unable to address all of these questions in its space constraints; however, all of these issues touch, sit alongside, and stimulate the principal line of inquiry addressed in this study: what are the complex contexts and conditions of the invented heritage at Visoko, and what are the implications of such a case for mainstream archaeological discourse? This dissertation is organized by two linked arguments: a contextual study with a detailed analysis of two major contributing conditions to the problems at Visoko, and a specific theoretical analysis focusing on implications for professional archaeology. Each chapter develops a context around the case study and situates that context in current archaeological discourse. 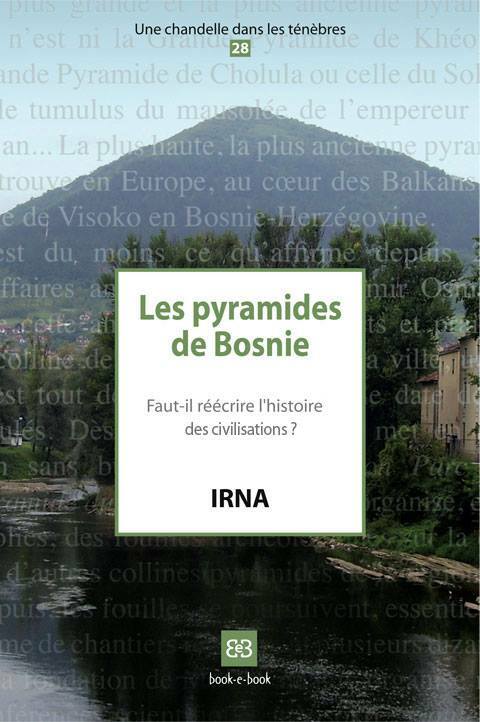 Chapter II charts the development and context of the Bosnian pyramid scheme, giving a brief history of Bosnia’s geography and social climate and a narrower outline of the pyramid scheme’s development. The chapter ends by exploring the term ‘pseudoarchaeology’ and argues for a more contextual-based approach to pseudoarchaeological problems. Chapters III and IV investigate two factors that conditioned national and international responses to the pyramid scheme: politics and performance. Bruce Trigger writes, “Archaeology is strongly influenced by the position that the countries and regions in which it is practised occupy within the modern world-system” (1984:355). This notion is explored in the third chapter, which explains how a recent war has left Bosnia-Herzegovina in a state of ‘tolerant hostility’ between Bosniak (Muslim), Croat (Catholic), and Serbian (Orthodox) ethnic groups (Zhelyazkova 2004). It also explores the politics of identity, symbolism, academics, and—perhaps most obviously— the politics of money, which is intimately tied into how the pyramid scheme is represented and supported by citizens and politicians. The fourth chapter focuses on media, performance, and representation. It examines how an encouraging, excited media was critical to the spread and growth of the pyramid scheme. It also highlights the notion of heritage as a symbol, creation and a performance, one that is intimately attached to personal and group identities. Chapter V concludes with an overarching discussion, bringing together the discussion of politics, performance, and pseudoarchaeology, and discusses two methods of ‘inventing’: performative inventing and participatory inventing. The chapter finally argues that alternative cases should be studied, not as categories of claims on the past, but rather as products of complex contextual events and phenomena. See also by Tera C. Pruitt: "Contextualising Alternative Archaeology - Socio-Politics and Approaches"